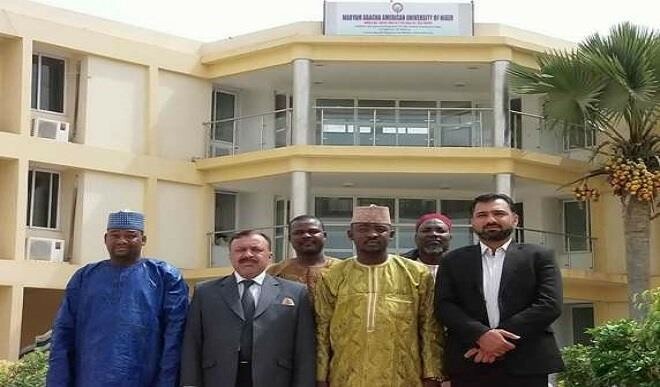 About N1 billion has been earmarked by the management of Maryam Abacha American University, Niger (MAAUN) for the construction of its permanent site. Speaking shortly after the foundation stone laying ceremony held at Jirtawa town of Maradi State in Niger Republic, the propriety and president of the university, Dr. Adamu Gwarzo, said a befitting and state of the art facilities are to be provided at the site. According to him, the university is fully accredited by both Niger and Nigerian governments adding that over years it has relations between the two countries.